The overall health of your bones is important at every age, but as you get older, the aging process can begin to leave negative effects on your bone strength and integrity. Calcium and magnesium are key players in optimal bone health, and while they're available via your diet, most people don't get enough on a daily basis. 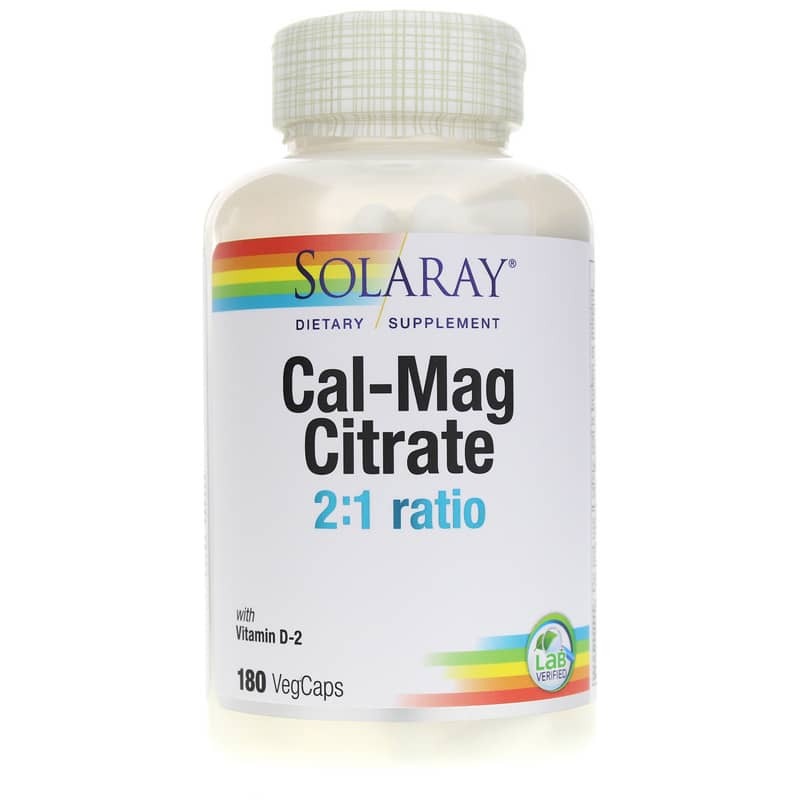 Solaray offers Cal-Mag Citrate, a reliable dietary supplement that contains calcium and magnesium citrates, along with vitamin D to help keep your bones healthy. 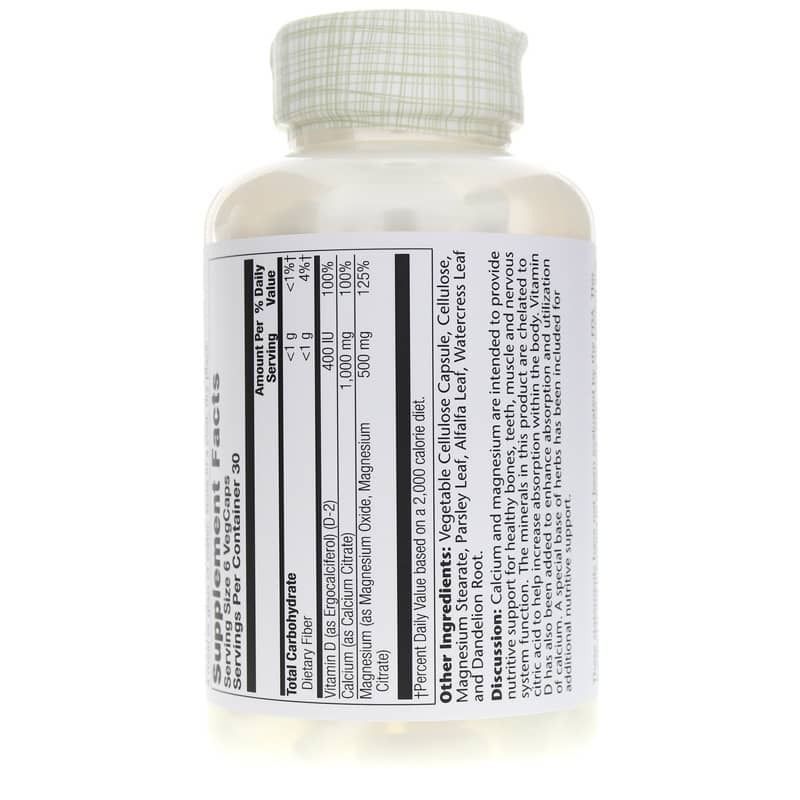 Cal-Mag Citrate from Solaray comes in an easy-to-swallow vegetarian capsule form that can be taken between three and six times every day in support of optimal overall bone health. Don't let weak and brittle bones keep you from doing the things you love. Choose Cal-Mag Citrate today, and see the difference it may be able to make for you. Order now! Adults: Use only as directed. 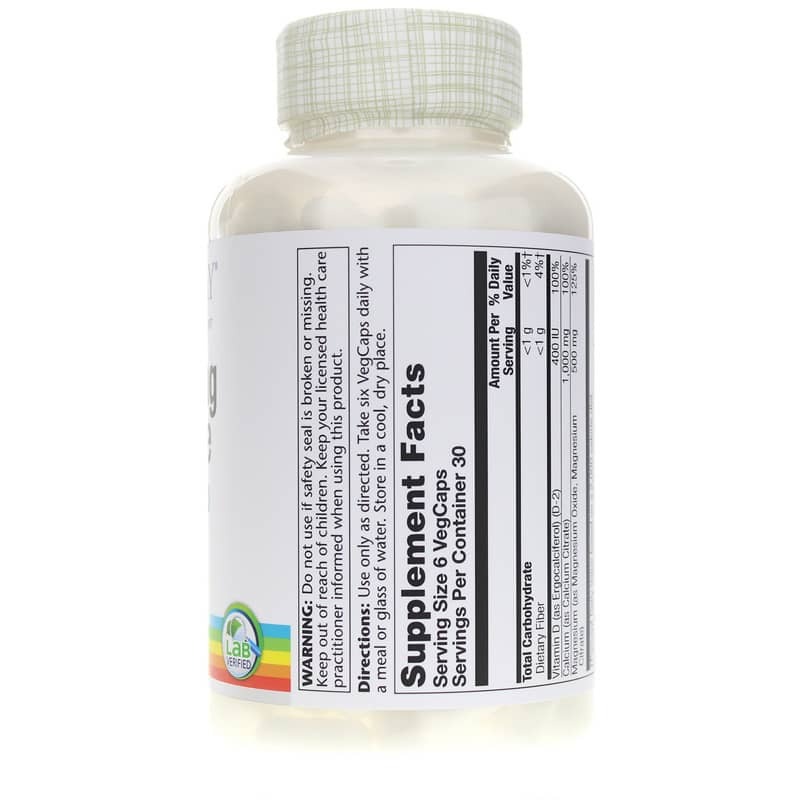 Take six VegCaps daily with a meal or a glass of water. Store in a cool, dry place. I am sure to take with food and get plenty of exercise. Every order comes very quickly. There always a Thanks and a :) on the packing list.